Now these are the foundations, of course having knowledge and experience of investing and business are the skills neccesary to achieve wealth creation. 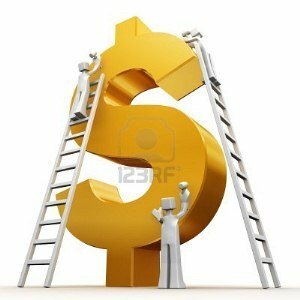 This page will focus on the first foundation of understanding Wealth Cycles. If you study the financial markets, the U.S. economy and global economics, what you will discover is that the same economic patterns keep repeating over and over again throughout history, from ancient times to our day. Every time a society's currency became inflated and devalued, the people returned to the safe haven of gold and silver. It has all happened before. And right now our world economy is at a point where it is about to happen again—only at an intensity that would be magnitudes greater. And if a person studies monetary history and wealth cycles, you will realize that the same patterns have repeated over and over again, from ancient Greece and Rome to our own modern global society. What is really thrilling is that understanding those cycles can give you roadmap for where today’s markets and the economy were headed and give you the head start to begin building wealth. For example, you could see that every time in history that a government intervened in free markets, the markets would eventually undergo a correction. You could see that every time a government began devaluing its currency by creating more and more of it, certain events, like inflation or hyperinflation, would follow, every time. The idea of a cycle is symbolized by a circle, which, because there is no beginning or end, represents recurrence. The symbolic circle is often divided into segments—often two, such as the Chinese yin and yang or day/night, but more often four segments, like the seasons. The basic format of an economic cycle is expansion, leading to crisis, followed by recession, and finally recovery, which leads back to expansion. And the timing of basic economic cycles can be predicted with some regularity. Another natural cycle is the currency cycle. 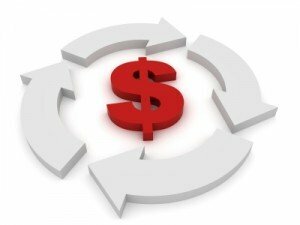 The currency cycle occurs less regularly and less frequently, but always follows the same pattern. Societies start with quality money that holds its value (i.e. gold and silver), and then move to quantity but lower-value currency and then back again. These cycles ebb and flow throughout history, as naturally as the tides. The currency cycle has been recurring for the past 2,400 years. Every time, governments in order to give themselves the power of deficit spending, begin to create more and more currency. As they create more currency, each unit of currency has less value. Eventually the people realize their currency doesn’t buy as much as it used to and is losing value. Every time for the past 2,400 years, the free market prevails. The Precious Metals cycle is a natural cycle, and they always ends the same way, with the value of gold and silver rising to account for the excess currency the government has created. They always automatically revalue themselves. The stock cycle is a shorter cycle. For a time, stocks and real estate outperform gold, silver, and commodities. Then the cycle reverses, and gold, silver and commodities outperform stocks and real estate. If you can understand this simple concept, then you are on the road to building wealth! Return From "Building Wealth" to the Home Page: "Stock Market For Beginners"